There was a flurry of movement on the Super Bowl LIII pointspread when it went up right after the end of the NFC Championship Game. The pointspread on the matchup between the Los Angeles Rams and New England Patriots may have been set in order to let the public ‘pick the favorite’. After the Rams opened a -1 point chalk money quickly came for the Patriots who were the obvious ‘public’ side in the matchup. The price quickly moved to Patriots 1.5 and after a bit of resistance between 1 and 2 moved as high as New England -3 at a few books. For the most part, however, equilibrium was established quickly and as of Monday sportsbooks had the game as New England -2 or -2.5. That’s essentially where it has stayed ever since. As of this writing on Friday, February 1 the screen is showing New England -2.5 all across the board. There are a couple of outliers at New England -3 and a few more at New England -2 but it would appear that the game is getting balanced action on both sides. 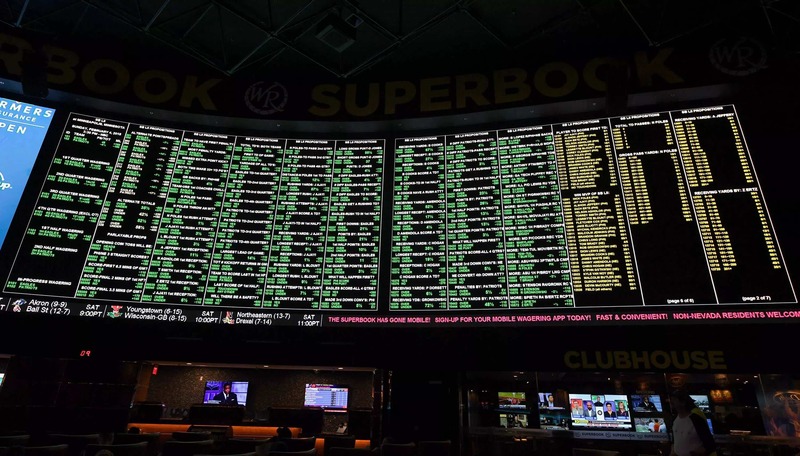 Among the sharp and semi-sharp bettors I’ve discussed Super Bowl LIII with there’s about an equal representation on each team. Most statistically oriented and value based handicappers are on the Rams with most who favor emotional/subjective factors on the Patriots. Obviously, contrarian handicappers are all over Los Angeles here. The ‘public’ is strongly on New England and the media ‘narrative’ surrounding Super Bowl LIII has only heightened this. If you look at ESPN or turn on sports radio it’s a non-stop gush fest about the greatness of Bill Belichick and Tom Brady. To be fair, much of it is deserved as the Patriots’ history in the Super Bowl is mind boggling: The Patriots are back in the Super Bowl for the third straight season and the fourth time in the past five years. They’re now only the third franchise to play in three consecutive Super Bowls. Head coach Bill Belichick now has 30 playoff victories, more than coaching legends Bill Walsh and Don Shula combined. Should New England win Super Bowl LIII it will be the franchise’s sixth under Belichick which will top the combined five by Walsh and Shula. It will be the Patriots’ 11th overall appearance in the Super Bowl and 9th appearance under Belichick. The narrative surrounding the Rams is…well, there really isn’t one. If there is, it’s being drowned out by the poor loser routine of the New Orleans Saints, their fans and really anyone connected with the organization. Should a non-call on pass interference be reviewable and able to be challenged by a coach? I think so. They do it in the Canadian Football League and it works just fine. What’s infuriating is that the Saints just won’t let it go. At some point, the legitimate gripe they have becomes a tiresome wail and very poor form. Incorrect or missed calls are a reality in every sport at every level—even the highest level. Even if the criticism of the officials, the NFL and the blown call doesn’t directly implicate the Rams it certainly denigrates their status as Super Bowl contenders by association. That’s really not fair to what is an excellent football team with a first rate head coach and players that play the game ‘the right way’. There’s really nothing that will break the Super Bowl LIII pointspread out of this tight range short of a tsunami of New England action immediately before the game. My thinking, however, is that if this action was going to come it would have come by now. It’s not like a ‘big fight’ weekend in Las Vegas where there’s often a last minute flood of money on the favorite. There’s been plenty of time for bettors of every type and skill level to take their position so I expect the game to go off at -2.5.